Sale would see company sell of its most valuable parts. Things are changing at Yahoo. The prospect of the Sunnyvale-based search company finally consummating a deal with China’s Alibaba Group and Softbank Corp., the controlling owner of Yahoo Japan, emerged in online reports published Wednesday by The New York Times and The Wall Street Journal. Citing unnamed people familiar with the matter, both newspapers reported Yahoo is exploring a proposal valued at about $17 billion, or $14 per share. The price reflects Wall Street’s belief that Yahoo’s investments in Alibaba Group and Yahoo Japan have become the company’s most valuable pieces. Yahoo’s U.S. business has lost its luster as the company’s website loses traffic and advertising revenue to Internet search leader Google and Facebook’s social network. 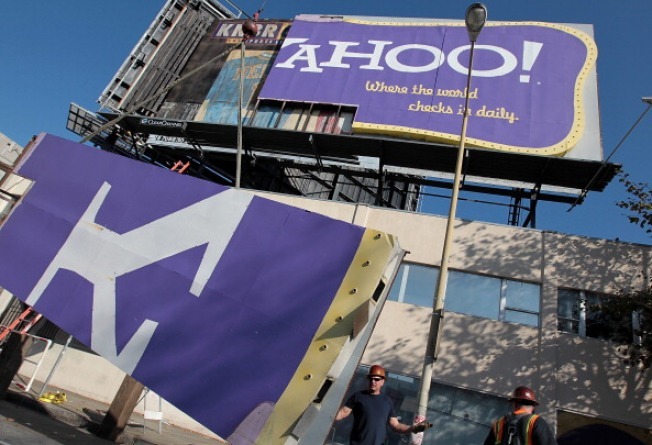 Yahoo ended Wednesday with a market value of about $20 billion, based on its stock closing price of $15.99. The shares gained 88 cents, with most of the surge occurring after the reports of Yahoo’s talks with its Asian partners. If the deal comes together, Alibaba and Softbank would contribute cash and certain assets to newly formed entities. Yahoo would then surrender its 35 percent stake in Yahoo Japan and most of its holdings in Alibaba to gain control of new entities, according to the Times. Yahoo would retain a 15 percent stake in privately held Alibaba, down from 42 percent as of Sept. 30, according to the company’s most recent quarterly report. The transaction would be designed to avoid a big tax bill — a stumbling block in Yahoo’s previous discussions to sell its Asian holdings. Yahoo declined to comment Wednesday. Alibaba didn’t respond to requests for comments. The renewed talks among Yahoo, Alibaba and Softbank are the latest bit of boardroom intrigue that that has been unfolding since Yahoo abruptly fired Carol Bartz as CEO in early September after losing patience with her attempts to turn around the company during her 2½ years on the job. Since then, Yahoo’s board has been mulling a variety of options that have included selling the Asian holdings, selling a 20 percent stake to buyout firms or even auctioning off the whole company. The nine-director board has been leaning in different directions as it ruminates. Just a few weeks ago, it appeared the board was leaning toward selling a large stake to a group led by Silver Lake Partners for $16.60 per share or TPG Capital for $17.60 per share. That idea didn’t go over well with some of Yahoo’s major shareholders, including hedge fund manager Daniel Loeb, who has been threatening to overthrow the company’s board. Yahoo’s board is scheduled to discuss the proposed divestiture of the company’s Asian holdings in a Thursday meeting, according to the Times. The newspaper said the directors intend to decide whether to intensify negotiations that could last for a few more weeks. If Yahoo decides to hold on to its Asian investments, Alibaba and Softbank could try to buy Yahoo in its entirety. That’s something Alibaba CEO Jack Ma already has publicly said he would consider doing. There also have been reports the Asian companies have been working with buyout firms Bain Capital and the Blackstone Group to line up the financing to swallow Yahoo whole for about $25 billion, or $20 per share. Should Yahoo decide to sell its Alibaba and Japan stakes, the shareholder reaction will probably hinge on the company’s plans for the money raised in the deal. Analysts have said a special one-time dividend is one possibility. Yahoo would also face another formidable challenge: finding a new CEO to run a company shorn of its most valuable assets as it battles steadily growing rivals in Google and Facebook. Tim Morse, Yahoo’s chief financial officer, has been running the company on an interim basis since Bartz’s ouster.